Tekin are very excited to announce the return of the RS Pro esc in a new Black Edition. This new RS Pro Black Edition provides the lowest resistance of any esc available for spec racing where those advantages matter, and people are willing to pay for them. The original RS Pro is still considered the best esc ever made for some classes of racing and used units sell for as much as they did new years ago. 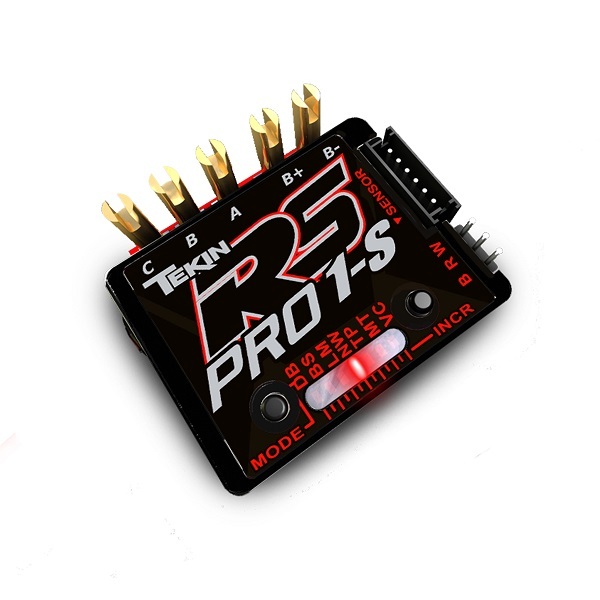 Originally the RS Pro was a mod racing esc that Tekin replaced with the RSX. Now it is being targeted at the spec racing market where ultra low resistance is most important. The RSX is still the right choice for Mod classes where a heatsink is needed. Tekin are also releasing a 1S version of the RS Pro Black Edition. The same ultra low resistance design with a built in booster to work on 1S lipo.